"We are blessed with agency, which is our ability to make decisions and to become accountable for those decisions. The Fall made possible in our lives feelings of both happiness and sadness. We are able to understand peace because we feel turmoil. "Our Father in Heaven knew this would happen to us. It is all part of His perfect plan of happiness. 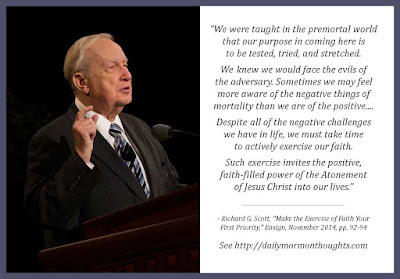 He prepared a way through the life of His perfectly obedient Son, Jesus Christ, our Savior, for His Atonement to overcome every difficulty that we may experience in mortality. "We live in trying times. I need not list all of the sources of evil in the world. It is not necessary to describe all of the possible challenges and heartaches that are a part of mortality. Each of us is intimately aware of our own struggles with temptation, pain, and sadness. "We were taught in the premortal world that our purpose in coming here is to be tested, tried, and stretched. We knew we would face the evils of the adversary. Sometimes we may feel more aware of the negative things of mortality than we are of the positive. The prophet Lehi taught, 'For it must needs be, that there is an opposition in all things' (2 Ne 2:11). Despite all of the negative challenges we have in life, we must take time to actively exercise our faith. 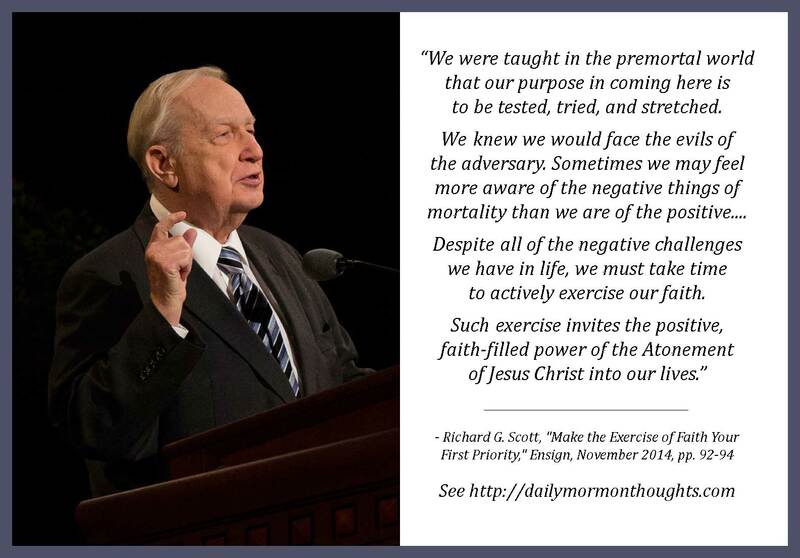 Such exercise invites the positive, faith-filled power of the Atonement of Jesus Christ into our lives." Agency is not only the ability to make decisions; it is also the responsibility to be accountable for our decisions. As a part of God's "perfect plan of happiness" we needed agency in order to experience struggles as well as successes, tests and victories. 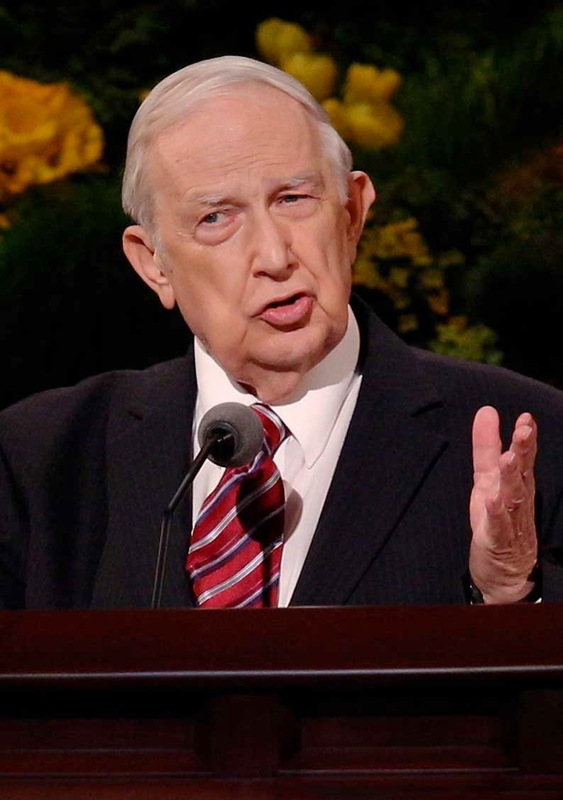 But the critical thing, Elder Scott taught, is to learn to "take time to exercise our faith." We "exercise faith" by the actions, activities, and habits that link us to God each day. Those are the things that will invite the power of the Atonement into our lives.